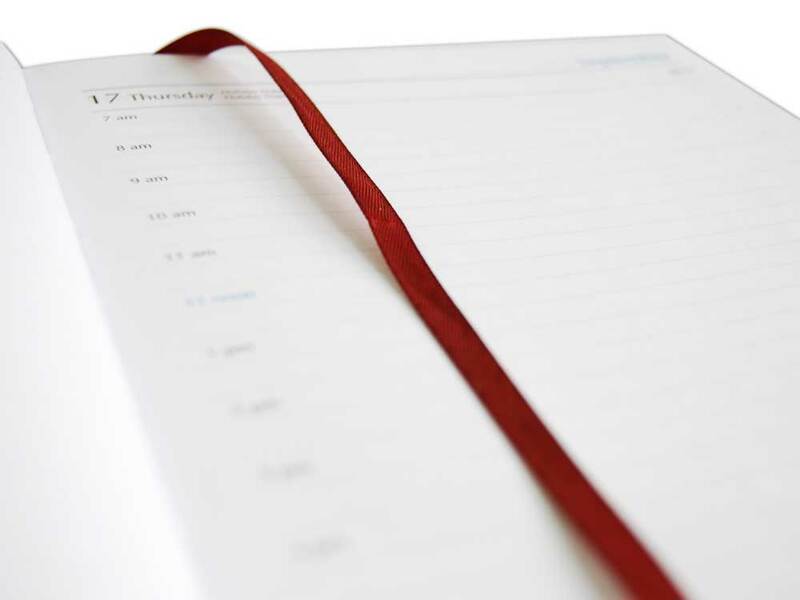 There are numerous book bound accessories you can add to your diary that are practical and useful. 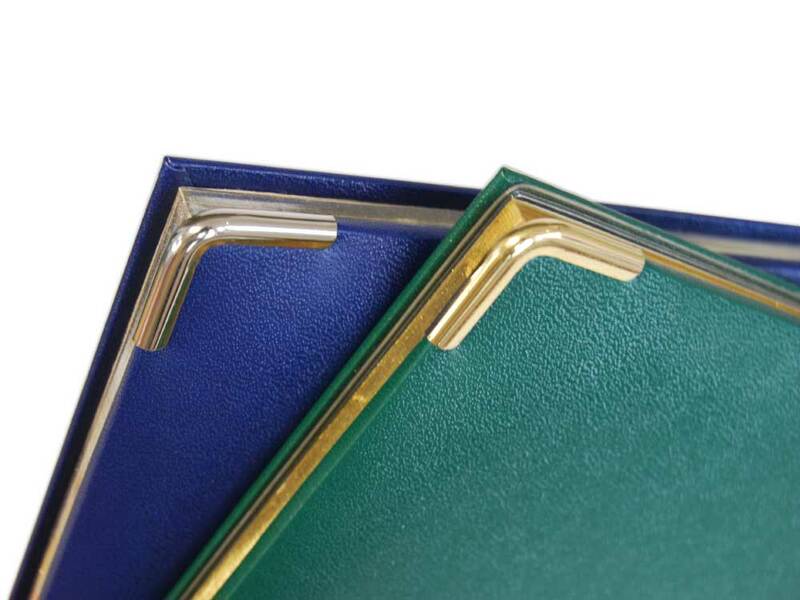 Accessories we include in all of our book bound diaries are head and tail bands along with a ribbon. 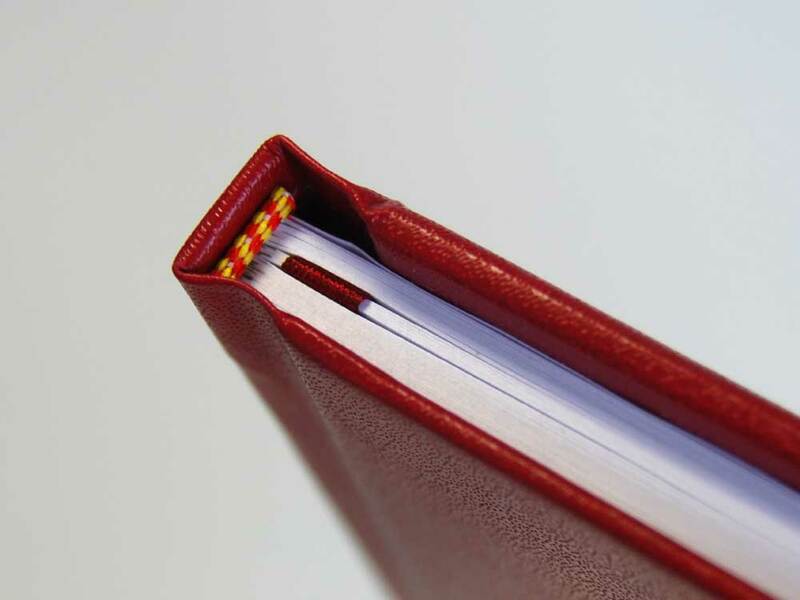 The glued in ribbon makes book marking a cinch, whilst the head and tail bands make it is distinctive diary! Metal corners on the front cover enhance style and durability. Available in Silver or Gold. 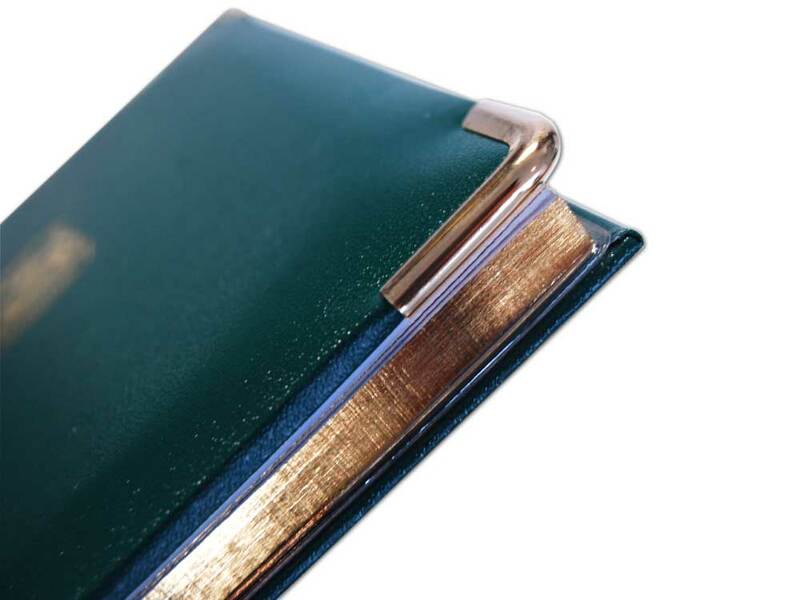 Give your diary distinction and sophistication with gilded page edges. 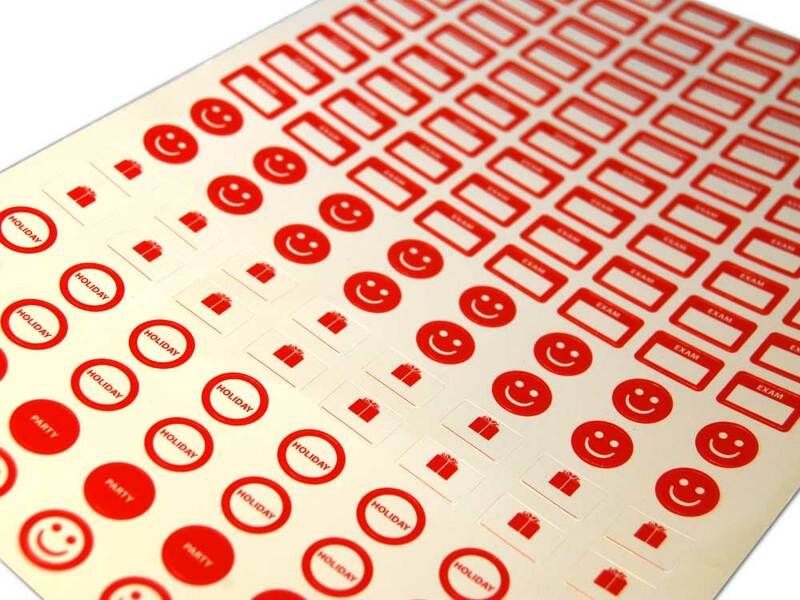 Standard colours are Silver or Gold. 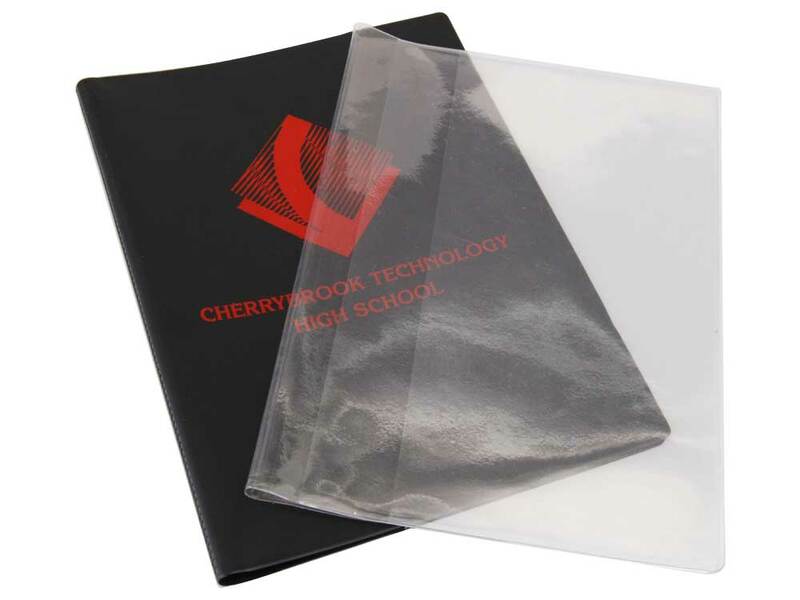 A plastic sleeve is a great place to carry CDs or DVDs and important documents with safety. 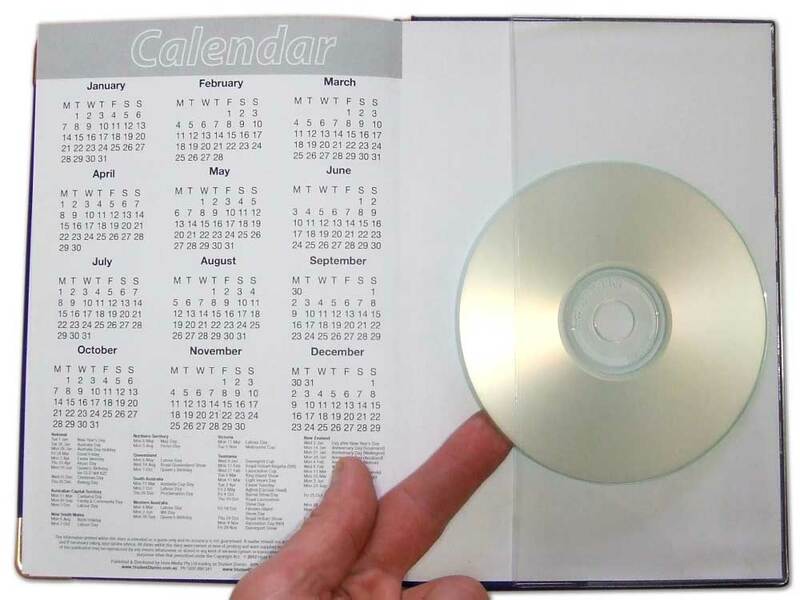 For our Book Bound diaries the sleeve is fixed to the inside back cover..